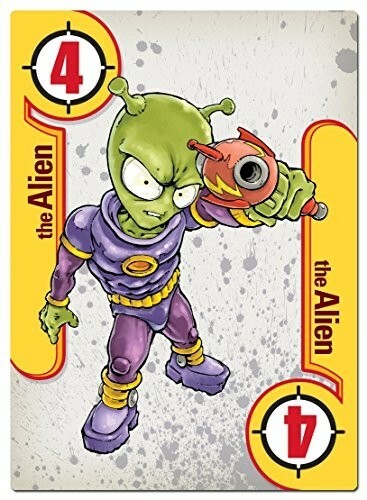 Panic Fire is a lightning-fast game that pits opponents across from each other with nothing but a toy gun and a deck of cards between them. Panic Fire (formerly known ad Shoot Your Friends) is a raucous, wonderfully surprising game that you'll be talking about the next day." "Panic Fire is a fast, frantic, silly, good time." For 2 to 5 Players, age 13 and up. 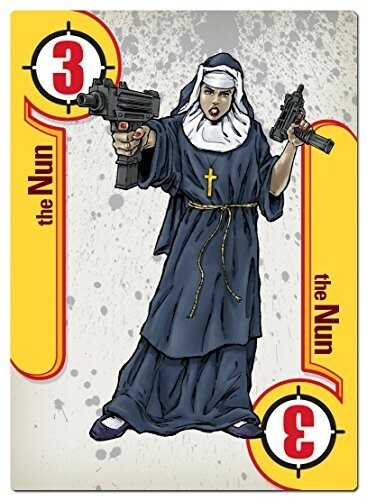 Board Game meets "High Noon": Panic Fire comes with a high quality electronic toy gun and a double deck of hilarious cards. Looking for one of the most fun games for families? 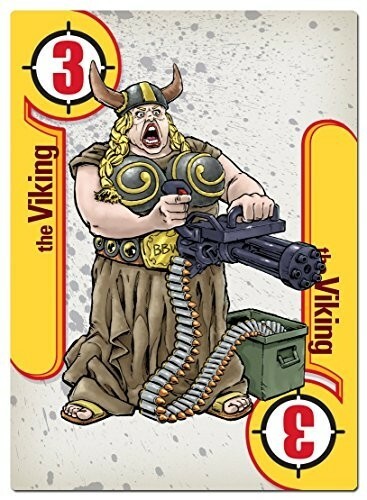 Panic Fire is a lightning-fast game that pits opponents across from each other with nothing but a toy gun and a deck of cards between them. Panic Fire is a sure bet for your family board games list. 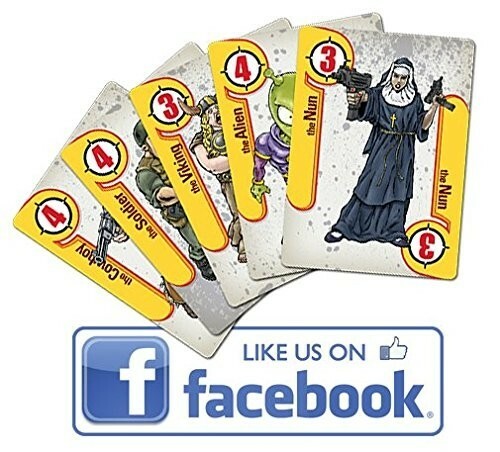 Be the first to create a lethal combination of cards on the table to become either the shooter or the shootie. 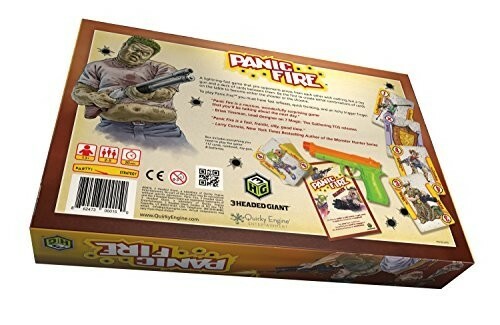 To play Panic Fire, you must have fast reflexes, quick thinking, and an itchy trigger finger. There are no turns, making Panic Fire a free-for-all as players use Character Cards to create lethal matches. When someone creates a match, everyone dives for the included electronic toy gun, and there's one sure bet; someone is goin' down. 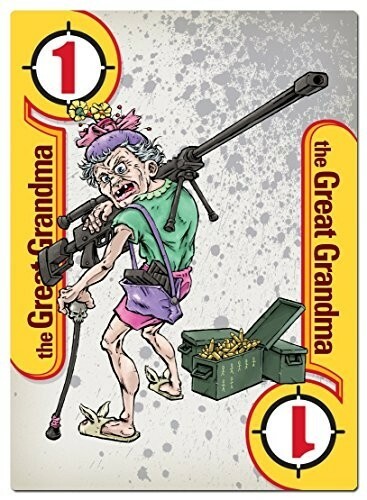 The best board games and card games combine a good amount of skill and a little luck thrown in to make it interesting. 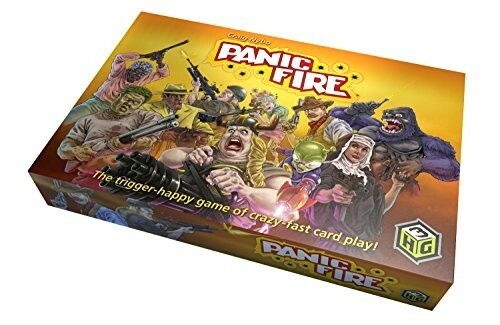 Panic Fire integrates both, which is exactly what makes Panic Fire one of the most fun family games on the market. This quick-draw, slaphappy game brings smiles and plenty of laughter to the table, making it one of the best board games for adults and one of the best board games for kids.